In September I learned of an upcoming product for review by Lisa Tanner Writing. The product is called Balancing Diapers and Deadlines. Balancing Diapers and Deadlines was created by a mom of many blessings. I think she has nine children. (One was born during this review period!) She had to come up with a system to manage her family well and still run her home business. Once she created her system, she decided to make it available so that other moms could also benefit from it! At first glance you might think this product is not a good fit for you, or that it is not something you need. After all, maybe you do not have nine children, but only two or three, Maybe you do not have a home business. In my own situation, you might have thought it silly for me to volunteer for this review. In my situation -- all children now adults and out of the home, and no home business -- it might seem an unnecessary course to consider. In actuality, though, in my situation time seemed to be slipping through my fingers. No diapers, no children, few deadlines... time seemed to be slipping through my fingers. I volunteered for this review -- asked for it, actually! -- because I wanted help redeeming my time. I actually have a lot of things I want to get done, need to get done, should get done... but without deadlines, time just kept slipping by and very little was getting done. I was anxious to get started! My goal during the review period was to work on the course at least three days per week. I wanted to actually work on the course more days per week, but I think I averaged three days per week once I got started. When I first logged into the course I was actually out of town, visiting my son's college for Parent Weekend. Once I got back I did my best to get started quickly. Once I got going, I realized I could either cover sections of the course daily or read a section and then try to apply it, but I could not go at a fast pace if I was also trying to implement the course work. The first item from the course that totally benefited me was a plan that might seem obvious to some, but it was something I was not doing. The program recommends having a daily family meeting, going over the schedule and the things that need to be done, and assign tasks to family members. For me that meant meeting with my family of one every day over breakfast, making sure I had a "To Do" list, prioritizing it, and start tackling my list. 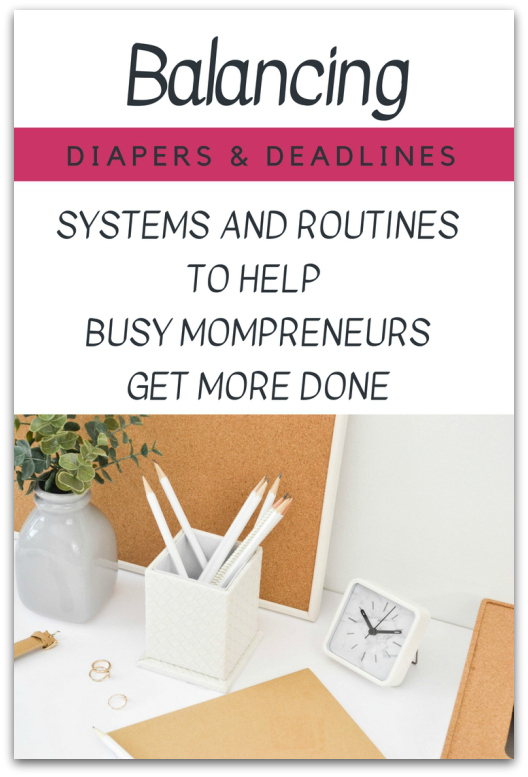 Another really amazing section of Balancing Diapers and Deadlines is the section where Lisa Tanner covers her meal planning system and how she prepares an Excel spreadsheet that becomes her shopping list. Lisa Tanner actually shops for her family only once a month. Eleven people, and a shopping trip only once a month -- I can't even imagine! Anyway, I really look forward to spending more time learning her method of using the Excel spreadsheet. I have a lot to learn there, and she explains the use of Excel very well. Lisa Tanner has a method of meal planning that plans the entire year's meals for an entire year! She integrates into this meal planning system a day of the week per child (of an age that matters, so not the newborn, and she doubles up the second child with the oldest child). The child of the day helps plan the menu plan for the year, selecting meals that will be served on that child's days of the week, breakfast, lunch, dinner and shack. The child then has a vested interest in the day's meals, and that child works with mom that day to get the selected foods ready at each meal. It's a great system! There is still so much for me to cover in this course. I can hardly wait! But I am breathing a sigh of relief now that I will have written the review, because I can slow down my pace. I really want to get into the information about using the Excel spreadsheet for the meal plan / shopping list system. I am not likely to shop once a month (I live one mile from the grocery store), and I am not likely to plan my menu for an entire year (my husband likes a little more flexibility than that), but I am looking forward to figuring out what I will use from Lisa Tanner's systems! What are your dinner plans? I'm already thinking of next week. I think I want to make Once a Month "Grandma's Chili" again. The weather's getting perfect for chili! In late August I learned there was a new Heirloom Audio adventure for us to review! Shortly thereafter I received in the mail a small package that contained a two-CD set of the adventure entitled St. Bartholomew's Eve. Heirloom Audio is a company that creates high quality audio adventures based on historical novels by G.A. Henty, an author of children's historical novels in the early 1900's. The story of St. Bartholomew's Eve is set in France in the 1570's. For many years Protestants in France, known as Huguenots, had been fleeing from persecution, going to Switzerland, Holland or England. The story of St. Bartholomew's Eve begins with 16-year-old Philip Fletcher, born in England to Huguenot emigrants, travels to France to stay with his aunt Emilie and cousin Francois, Huguenots still living in France. Philip stays with his extended family for many years. The Protestant believers have to worship in secret -- it is a very dangerous time to be a Protestant in France. It was intriguing some of the methods used to determine whether the family was practicing Catholicism or Protestantism, such as asking a child in the family to sing Ave Maria (which the Huguenot children were not being taught by their parents). How scary! The story builds gradually. Initially you come to know the individual characters -- Philip, with his British accent; Francois, and his family members. As Philip and Francois mature, they are also learning fighting tactics, becoming strong young men, and meet new people. They begin engaging in battles to defend the Huguenot people. At other times, though, the Catholics are hunting them. Sometimes they hide. Sometimes they flee. Eventually, though, the conflict is unavoidable. The ultimate battle that occurs in the story is known, historically, as the St. Bartholomew's Day massacre. The battles and preparations leading up to this last stand of the Protestants is engaging, and the final battle is compelling and sobering. I never like to covey enough information that the reader feels I've given spoilers, so I will stop there. Suffice it to say that I encourage you to consider investing in this audio drama. What I love about materials by G.A. Henty is the way he focuses on historical events that have become obscure and isolated to us through the passage of time, and by creating an engaging narrative he draws us into an adventure that we care about and learn from. The plight of the French Huguenots of the 16th Century is something we should not allow to be forgotten in obscurity any more than we would want the plight of the Jews in World War II to be forgotten. Remember the saying, "Those who do not learn from history are destined to repeat it." Sound effects combined with skilled acting draws the listener into the gripping adventure. 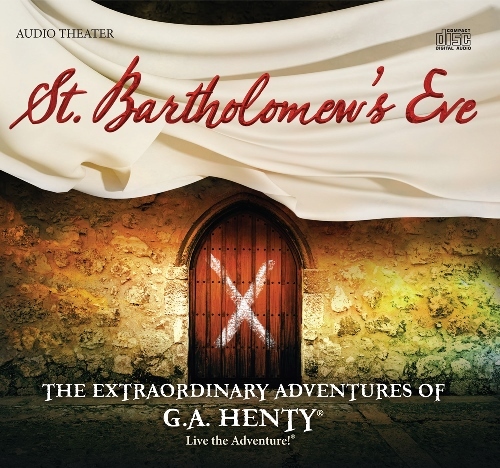 I loved St. Bartholomew's Eve, as I have loved the other Heirloom Audio adventures I have listened to. Filled with realism, historic events are conveyed that can be upsetting. In this adventure Philip befriends a young lad who later loses his leg while doing his part as the Huguenots defend themselves against the Catholic attackers. Later the one-legged lad is still fighting in conflicts, endangering himself for the cause. This type of story content is realistic but upsetting to my daughter, who has a tender heart. Because these adventures contain content that can be upsetting to some, I do encourage you to listen to the story first, without your children, so that you can determine which of your children you want to have listen to the adventure and at what age. St. Bartholomew's Eve, produced by Heirloom Audio, once again upholds the high standards that Heirloom seeks to maintain in each of their audio adventure productions. I highly recommend this adventure to you. This past weekend, the first weekend in October, was Parent Weekend at Northern Arizona University where my son is attending college. We were looking forward to visiting him, seeing how he is doing, and spending some time with him. We live on the east coast, and right now the time is three hours later than the time in Arizona. We were leaving on a 7 a.m. flight. It is a one hour drive to the airport, and we aimed to arrive 2 hours early so we could park in a satellite lot, get through security, eat breakfast, etc. That meant we needed to leave our house at 4 a.m., so I got up between 3:00 and 3:30 a.m., which is midnight of the night before, Arizona time! We flew for 4-1/2 hours, direct flight, and did our best to sleep some on the way there. We had a nice flight on Southwest Airlines, but upon our arrival it still took an hour to exit the plane (25 minutes), walk to baggage pick-up and get our bags, ride a shuttle to the car rental place and get our car, and get on the road. We were hungry for lunch by this time, 12:30 p.m. Eastern Standard Time, so we found a subway as soon as we could (1/2 hour) and ate lunch at 10 a.m. Arizona time! An interesting point, we left 82 degrees with 97% humidity and flew to 82 degrees and 37% humidity. The plane flies in to Phoenix, and the drive to Flagstaff is another two hours, which was next on our agenda. Dry in Arizona, we were already slogging down loads of water! Arriving in Flagstaff at about 12:30 Arizona time to a temperature of about 42 degrees, we were now adding a layer over our T-shirts for warmth. We contacted our son, but he was too busy with homework to see us right away. We needed to check in with the University's Parent Weekend people, so we did that first. Then our Airbnb allowed us to check in early, so we went there and took a nap for a couple of hours. Our son was still not available when we wanted to eat dinner, so we went on our own. After we had eaten he was finally available for the evening. NAU had a Casino Night planned, which we all attended, and it was a lot of fun. We all played a little poker (Texas hold'em), but for the most part we all preferred playing Black Jack. The student really cleaned up! But it was not for cash -- it was for raffle tickets for prizes, and we didn't win any of the raffles. The proceeds of the evening went to scholarship funds for students on the Hotel Management field at the college. The next day we woke to snow! No big deal -- a couple of inches that melted quickly except for on the mountains. We invited our son to join us for dinner but he wanted to sleep in. We dined at Denny's, which is a treat for us since our local Denny's went out of business some time ago. Later in the day he did join us for a barbecue hosted by NAU Air Force ROTC. This lunch was followed by a football game, NAU vs. Weber State University, which our student again bowed out of to do more school work. It was an exciting game, filled with turnovers by both teams, and NAU won. I didn't take photos, and the ones I can find on line are protected by copywrite. We wanted the student to join us for dinner, his choice, and we dined at a steakhouse, Sizzler. I was feeling more like shrimp, which they also had! They had a killer salad bar that came with my meal, with veteran's discount and senior's discount. Very nice! On Sunday a brunch was planned, but once again our student did not join us, so we dined alone. It showed us yet again that NAU offers the students a huge selection at meals, everything from donuts and muffins to really healthy choices, as well as some very gourmet choices. After our meal our student allowed us to spend some time with him in his dorm. He had been looking forward to some of dad's back scratching time. After a while we went to a movie, at his request - Venom. It's not a movie his dad or I would normally go to, but we didn't mind going to see it with our son since it was the movie he wanted to see. I ate way too much popcorn. After the movie we offered our son dinner again, but he was again feeling pressure from his assignments, so we took him back to his dorm. We decided to eat dinner at a small local restaurant, and we found a real good one called Salsa Brava. We shared a chimichanga. I highly recommend this restaurant. We especially appreciated their wall honoring the military and their MIA/POW table for the one(s) who won't make it for dinner (kinda like the Air Force's Missing Man formation). And I didn't walk all the way up the hill, but saguaro cactus. Hubby was concerned there might be rattle snakes. We got to Phoenix, turned in our rental car, rode a shuttle to the airport, checked our bags, went through security, and got to our gate around 12:30. We got ourselves a sandwich, which we shared, since we figured it would be an early dinner when we got back east (5:00 on our body clock, 8:00 EST). By the time we actually landed, picked up our bags, rode the shuttle to satellite parking and got underway in our car, it was actually about 11:00 p.m. We had gone from an "early" dinner to being concerned that there would be no restaurants open to get a bit other than fast food restaurants (which we don't like to do, particularly for dinner). Thanks to the G**gle machine, we found a barbecue spot on the way that was open since it was a sports bar and there were people there watching Monday Night Football. So, midnight found us getting home and eating dinner. What a way to eat an "early" dinner! So we're back. I did not get a menu plan posted. We limped through on some standard quick meals. so I was delighted when I learned we would be receiving Season 6: Underground Rising to review! Brinkman Adventures are audio adventures that center around the Brinkman family - a missionary family. The stories in Brinkman Adventures are based on real people, and are often based on actual events, although literary license is taken to add to the excitement. Dutch Underground, Parts 1 and 2, tell the story of the Brinkman children's Oma (grandmother) and Opa (grandfather, no longer alive). The children are visiting Oma, and she relates to the kids how she met and married their grandfather in Holland right during the war, World War II. Oma and Opa lived in Holland when it was overthrown by the Germans. The religious freedoms of the Dutch were being squashed, and Oma and Opa were part of a group of Dutch who were resisting the oppression brought by German rule. There were many close calls, some imprisonment, and a lot of excitement in this story! Twice Born Fly begins with Charlie watching a fly hatch from a pupa. He is so excited when it happens that he gasps in surprise, ...and with his inhale swallows the fly! That makes for a fun start to the story (but it may not have really happened). His father is able, later in the story, to use the fly's "second birth" as an allegory to explain Christian rebirth to Charlie. I Wonder Why is a story that focuses on a different missionary family that the Brinkmans know, and how this family came to relocate to India. The children in the family have some difficulty adapting to this move, particularly as the orphanage they are ministering to is filled with (28) children who seem to be particularly mean and disobedient. As the story unfolds, God reveals the answers to "I wonder why..." that one of the missionary children was asking at the beginning of the episode. Free Burma Rangers is a particularly gripping adventure. It begins with a missionary kid, who as a child attending boarding school is focused on wanting to grow up to be a soldier, and after that a missionary. The young man finishes boarding school, where he was not acting "like a missionary kid". He confesses to his dad that he has not been living the way he should, and he commits to change. He attends college at MIT, where he participates in Army ROTC, and after graduation joins "special ops", The Green Berets. After serving in this capacity for many years, he has met a woman that he wants to marry. She is not in agreement, and he continues to pursue her. He leaves the military and studies for the seminary, after which he goes into the ministry as a missionary, just like he said he would at one time as a child. Before he goes, though, the young woman, Karen, does come around and they get married. The story continues with his adventures as a missionary, and the group he is a part of called the Free Burma Rangers. The adventure eventually includes the Brinkmans, and the situations get very intense! If you love audio adventures, I really think you will like Brinkman Adventures, Season 6. I also learned recently that there is a radio station in Texas that airs Brinkman Adventures as a weekly show on their station. I'm going to try to figure out when it plans (EST), because I think I can tune into the station using Alexa or on my computer. I'd love to hear more episodes! I do not own them all. The folks from Brinkman Adventures want to offer you, my reader, a 10% discount for anything on their site. The code is FALL10 and is good for 10% off any of their products and is in effect from October 10th to October 31st. Go order now before you forget! Other members of the Old Schoolhouse Homeschool Review Crew also reviewed this set of Brinkman Adventures. 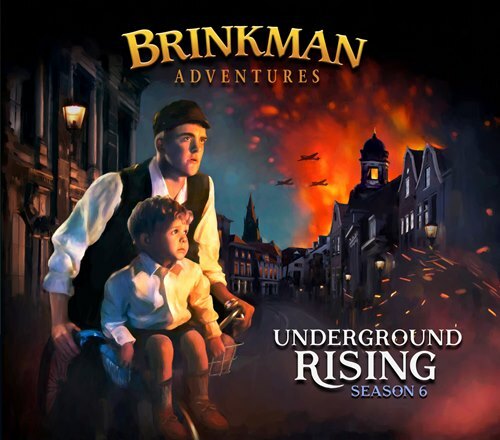 If you would like to read more reviews of Brinkman Adventures, Season 6, please click on the link below. 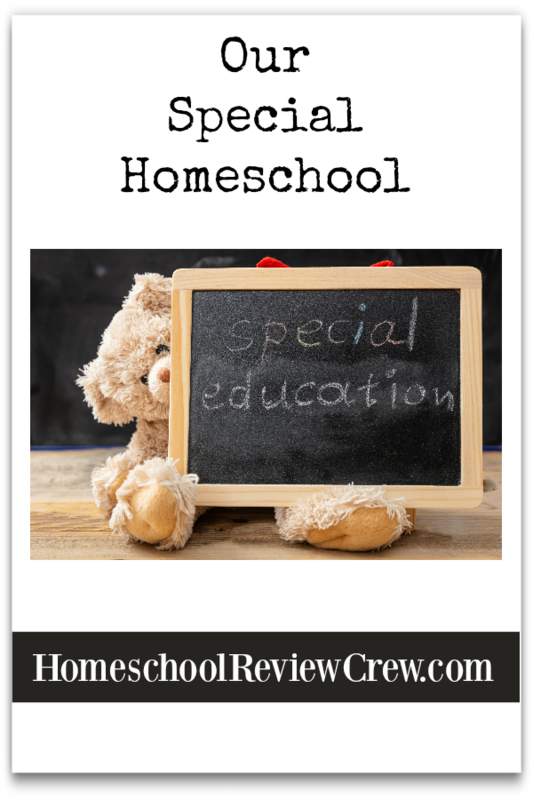 At the end of the summer I learned I would have the opportunity to review an amazing product by a company called Teach Sunday School. The product I received is Books of the Bible At-a-Glance. I received this as a digital product. 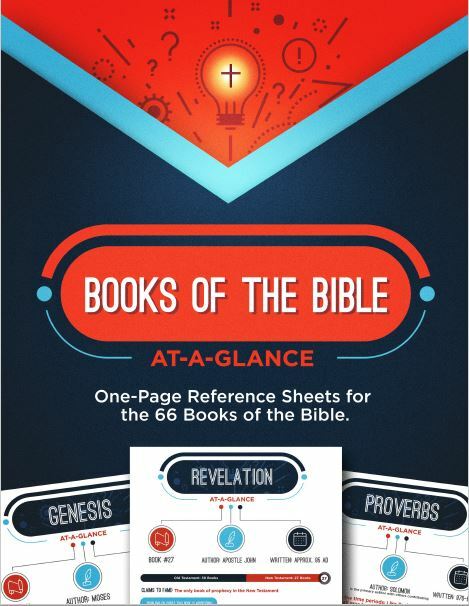 It includes 74 pages, which includes one page for each of the 66 books of the bible, with a cover page and introductory pages at the beginning. 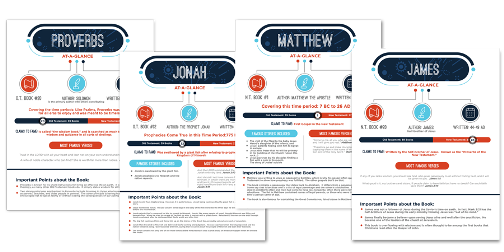 When I received Bible At-a-Glance, my personal studies were in the book of John. Thinking it through, "Matthew", "Mark", "Luke", "John", I decided to print the first four books of the New Testament using double-sided print. I also needed a look at 3 John, so I printed that as well. I tried using color print, but my printer wasn't up to snuff, so I switched to black and white. I figured I would 3-hole punch the paper and start a 3-ring binder for my Books of the Bible At-A-Glance. See how vibrant the colors should be? My printer is disappointing me greatly. So now that you see the page for John, let me zoom in and highlight it for you section by section (larger, easier to see). who the author is thought to be, when it is thought to have been written, and the time period it covers. John is thought to have been written 80-90 AD, but it is a history of the period from approximately 7 to 26 AD. The next line reminds you that there are 39 Old Testament books and 27 New Testament books, with a numeral 4 reminding you that John is book 4 in the New Testament. Each book has a "Claims to Fame" section. There is a reminder of famous stories included in the book, as well as the books "most famous verses". The bottom of each page lists important points about the Bible book. After working with John and 3 John, I worked in Philippians. I was getting into a groove. Then I was reading in Psalms, and I had forgotten Bible At-a-Glance was the entire Bible! I got excited all over again. Not liking how my printer was working I decided to put my document PDF onto a thumb drive and head to Kinko's to get an estimate on printing and binding the product as a spiral. Boy was I surprised at the price they wanted to charge. I scrapped the idea and headed home. I discussed it with my hubby. I'll just print out pages as I need them and go with my initial plan of having a printout in a 3-ring notebook that I build as I go along. I can also just work from the PDF document, but I'm a real paper-in-hand (book-in-hand) kind of girl, so I like to have a print out. Eventually I will probably be highlighting sections and taking notes like I do in my Bible. That's hard to do on a PDF. I am not a major theologian. I did not attend seminary. When I read my Bible and am curious about who wrote what or when it was written, I am not majorly concerned about exact accuracy, so I was not looking at that type of question as I was reviewing my Bible At-a-Glance, so I cannot speak to accuracy. All I can say is that for a lay-reader of the Bible this is a wonderful product. I found it incredibly helpful. I love it. So consider adding this product to your collection of personal Bible study tools. Or, before you do that, maybe you want to read a few more reviews and see what other reviewers thought. Maybe someone else was/is "more objective" than I am or saw different perspectives that they brought out that might interest you. To read additional reviews of this product, click on the button below. As I homeschooled my son, I came to realize there was much more to the label "Art" than I had previously thought. Using the Ambleside Online curriculum, much of the "Art" that we covered was more Art History, in the form of artist study and studying an artist's specific works. This suited me just fine, because as an older mom, I no longer enjoyed cleaning up messes after art projects were completed. However, it became clear that the student likes to do hands-on stuff, too! So sometimes he got to do that at Home Depot workshops. Sometimes art projects took place as part of 4-H.
and sometimes we worked on art curriculum where he was learning specific things such as primary/secondary colors, shading and depth, etc. Often he just tackled projects because the County Fair was coming and he wanted to have art projects to enter. 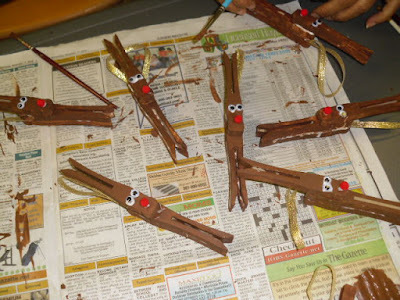 One of the girls in our 4-H Club was taking art classes and learning wonderful techniques. I wanted to sign my son up for classes, but he didn't want anything to do with it. He did not want group classes, and he did not want to be taught or be required to do a certain type of project at a certain time. He wanted to continue his art "free style". As he got older, the line became fuzzy between "art" and "craft". He no longer does paintings, seldom does drawings (although occasionally he comes up with an amazing drawing). Now, though, he is a craftsman of whips made out of paracord -- bullwhips, snakewhips, and I don't know all the names of the types of whips he makes. He got a blue ribbon and a champion ribbon on the bullwhip he entered at the county fair. He has started his own business selling his whips on line (Eagle Whips on Instagram). And he loves making them! So what I learned about art while home schooling my lonely only is to let the student lead. I don't expect him to have a career in Art when he picks his career, so what does it matter if he ever learns how to draw a picture with depth, or create a landscape with pastels, or that red paint mixed with blue makes purple? My goal as the teacher, in addition to directing my son in ways that he can learn about art, should be to introduce art in ways that help him love the art! And my son was able to pursue what interested him and then specialize in what he loved. And that is why we home school!